After two nights at the Ndali lodge it was time for a long (8hrs) bumpy right through the Rift valley. The Rift valley, birth place of man. The next stop would be Paraa lodge for three nights. In order to get there you have to take a Ferry. Waiting for the Ferry a family of elephants casually walked by to get a drink of water. Just another day in Uganda. The Paraa lodge was a great place to end a safari. 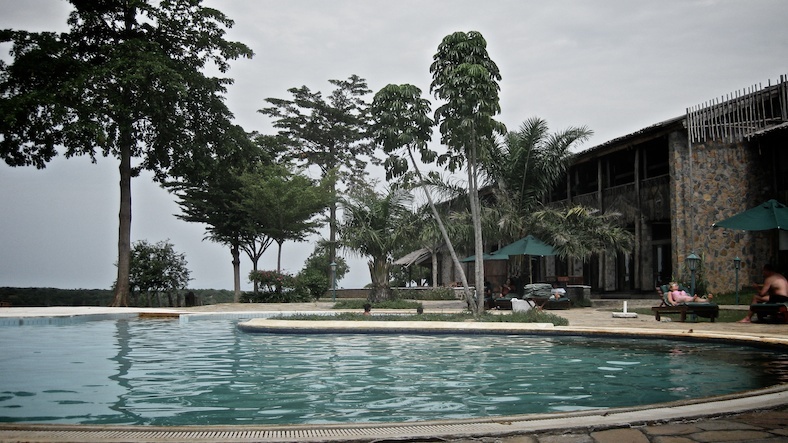 It was a resort atmosphere but right outside your door was the best safari location in Uganda, along the Nile river, well a part of the Nile. Murchison Falls National Park in Uganda is the only place in Uganda to see giraffe. And they are all over the place. Finally on the last day we took a short hike up to the Falls. It's pretty powerful and unlike the US there is no guard rail!!! You can get as close as you dare to. The falls are not huge but they forcefully squeeze through a tiny gap which makes them really turbulent. It's also part of the nile river. Habib, Leo and I at the top of the Murchison falls. Uganda is an amazing safari location. I highly recommend it. When we went it was still relatively low key in terms of tourists. Its not nearly as busy as Kenya or Tanzania but then it is much smaller. 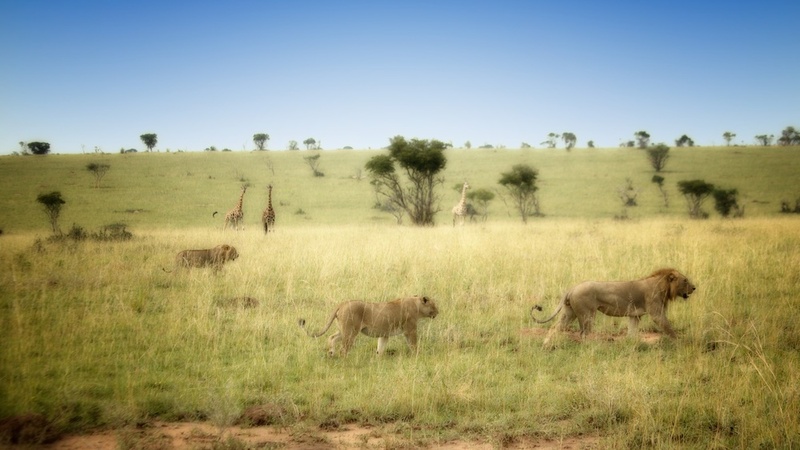 You dont get the huge herds of game on the safaris but all the animals (except Rhinos) are there and it is much more intimate than the big safari destinations. What a great experience.